Corporatocracy or Democracy? » Democracy requirements, deficits, solutions » 2016-04-16 Court Challenge to Saudi Arms contract by Canadian Constitutional lawyer Daniel Turp – – interview on The House. 2016-04-16 Court Challenge to Saudi Arms contract by Canadian Constitutional lawyer Daniel Turp – – interview on The House. Prime Minister Justin Trudeau called the government’s decision to go ahead with a $15 billion arms contract with Saudi Arabia a ‘question of principle’ – but is it a done deal? Constitutional lawyer Daniel Turp hopes the answer is no. He’s leading a court challenge against the federal government, hoping a judge will block the sale due to Saudi Arabia’s human rights violations. When the Conservative government originally made a $15-billion deal in 2014 with Saudi Arabia to sell the country combat vehicles, it was heralded internally as a success. Despite the deal proving more politically complicated for Justin Trudeau, he has repeatedly said his government will not intervene to cancel the contract. The Canadian government’s rules state it will not export arms to countries that perpetrate consistent human rights violations, with the exception of there being no reasonable risk the arms could be used against civilians. Justifying the approval of export permits to send $11-billion worth of combat vehicles to Saudi Arabia, Minister of Foreign Affairs Stéphane Dion said he has seen no evidence that the country would use Canadian arms against its own people. Turp isn’t buying that explanation. “The one thing that’s so unconvincing is the argument Minister Dion made,” Turp said. 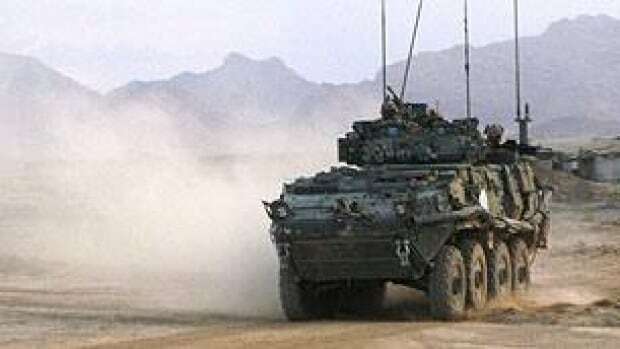 Turp said he understands that to cancel the contract would have “economic consequences” for Canada and specifically in London, Ont., where the light-armoured vehicles are produced by General Dynamics Land Systems.